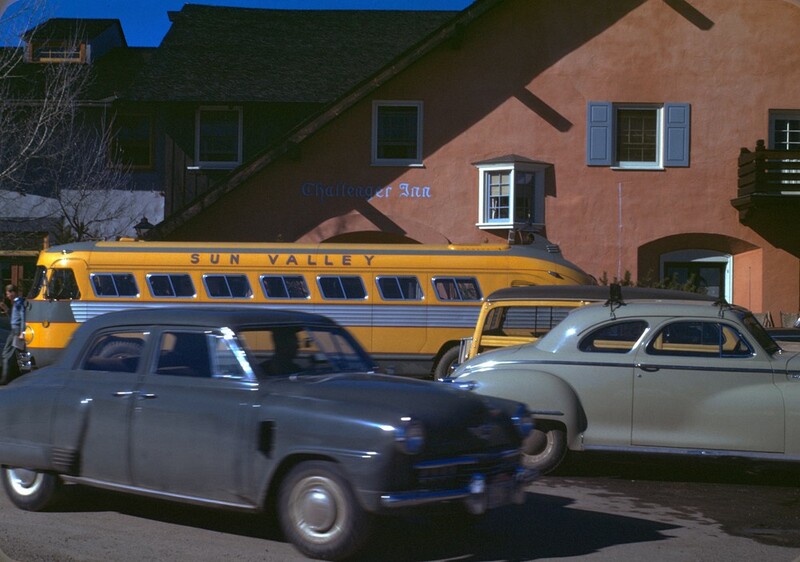 In front of Sun Valley Lodge in 1936 - Count Felix Schaffgotsch had been hired by Union Pacific Chairman Averell Harriman to scout the West for the finest spot on which to build a destination ski resort. Within three days of arriving in Ketchum, the Count wired Harriman: "Among the many attractive spots I have visited, this combines the more delightful features of any place I have seen in the United States, Switzerland, or Austria for a winter ski resort." 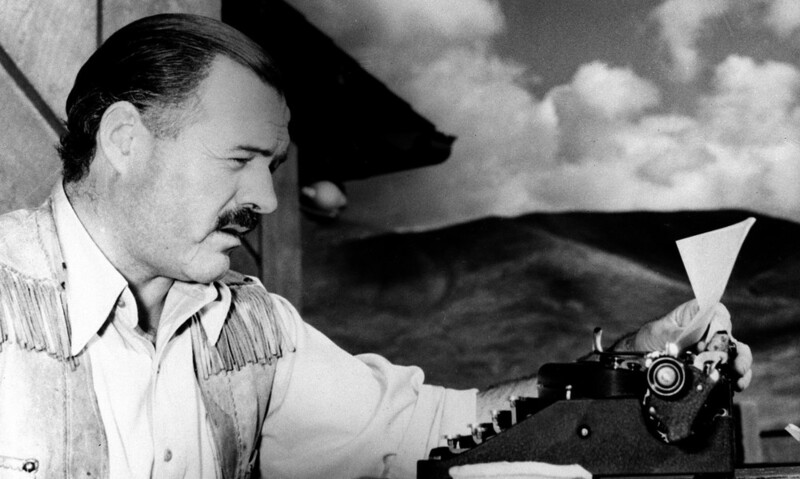 Ernest Hemingway completed For Whom the Bell Tolls while staying in suite 206 of the Lodge in 1939. The famous author spent a significant amount of time in Sun Valley. He died in Ketchum in 1961, and was buried along with his fourth wife in a local cemetery. 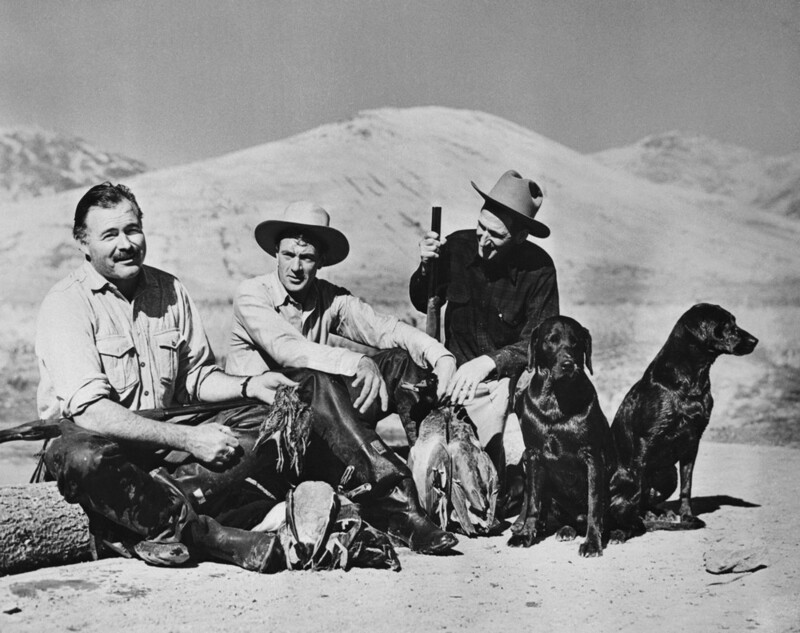 Author Ernest Hemingway, Idaho’s most famous bird shooter, relaxes with screen star Gary Cooper, (C) and Taylor Williams (R) the sun Valley tour guide during a successful bird shoot. Construction of the Sun Valley Lodge. Martyn Mallory was hired by Union Pacific in the summer of 1936 in order to document the building of the resort. 23 Mar 1946, Sun Valley, Idaho, USA — Original caption: Hollywood Stars Ski at Sun Valley. Sun Valley, Idaho: Active sports are the best things in the world to relax one after a session before the Kleig lights, and these Hollywood stars chose skiing as their sport. 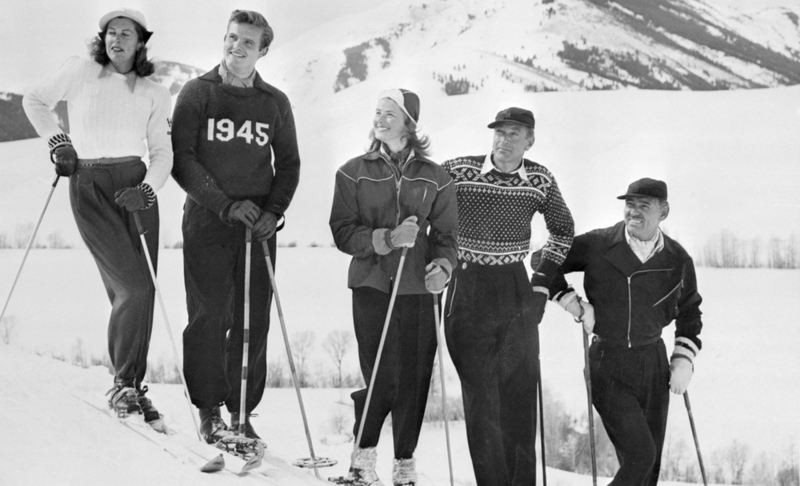 Shown on a crest at the famed resort at Sun Valley, Idaho are, left to right: Mrs. Gary Cooper, Jack Hemingway, Ingrid Bergman, Gary Cooper and Clark Gable. Used by the Navy during the war, the resort will be opened to the public in the fall of 1946. CLICK the tabs along the top (or the three-lined icon on mobile device), to start planning your weekend with us!